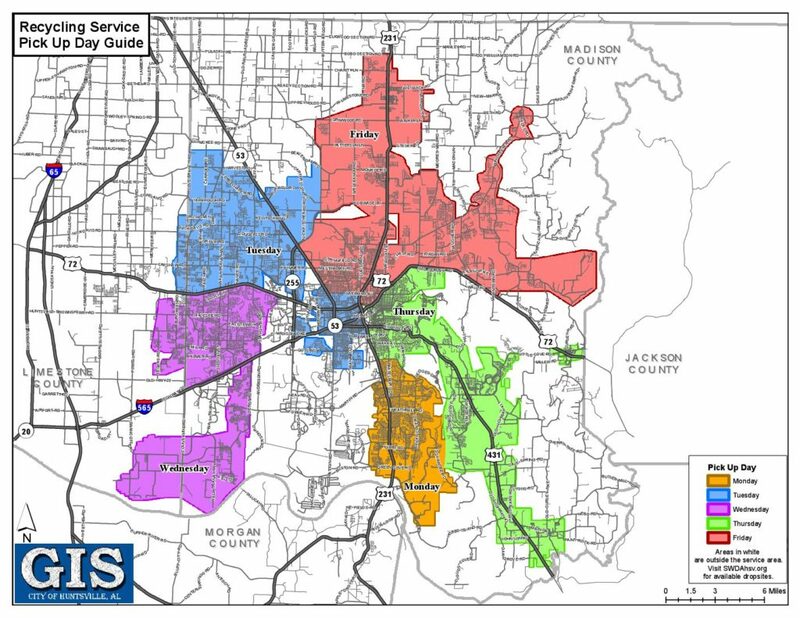 The residential curbside recycling program for Huntsville, Madison, and Madison County is administered by The Solid Waste Disposal Authority and operated by Republic Services. Weekly, Republic Services picks up recyclables from over 105,000 households. Drop off locations accept the same products as the curbside program, except batteries and motor oil (click here for more on those services). These items are accepted during the 1st Saturday Household Hazardous Waste collections (2nd Sat. if major holiday on Monday or Friday).